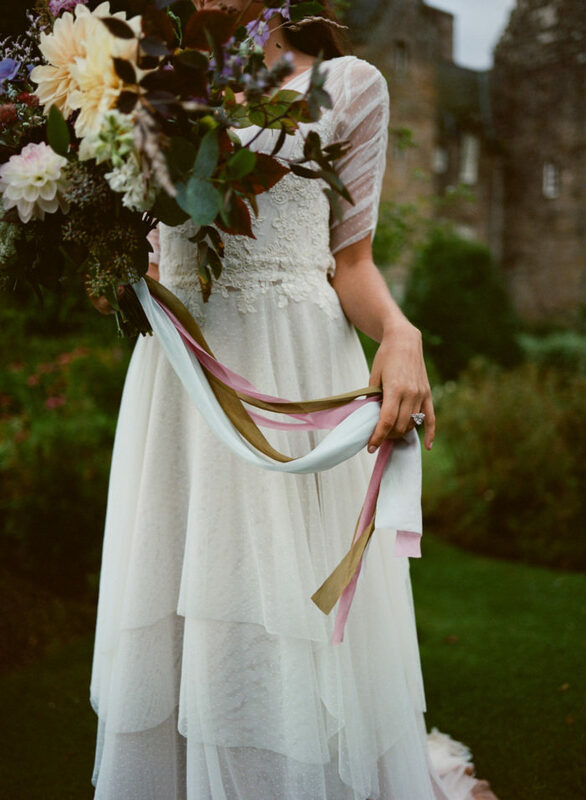 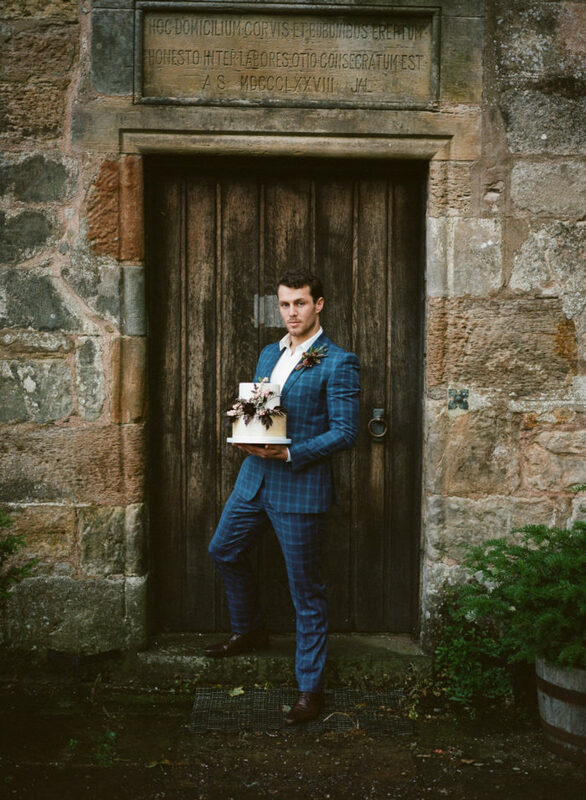 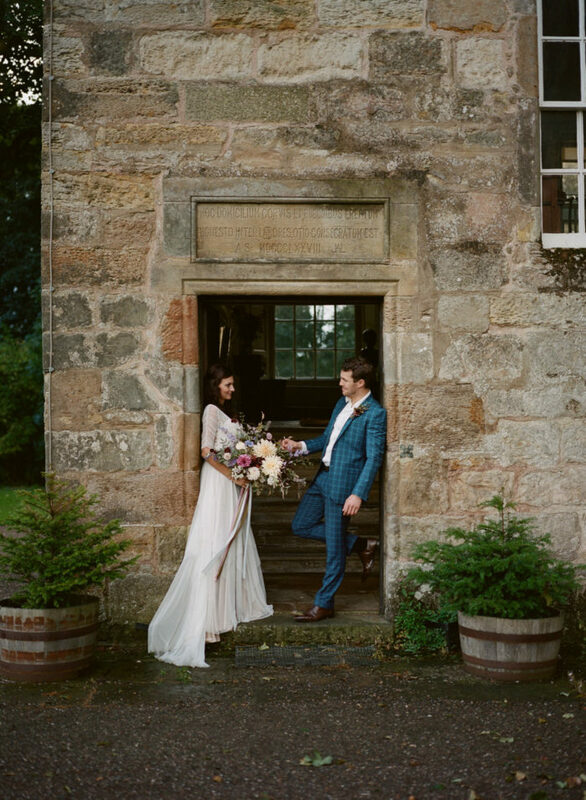 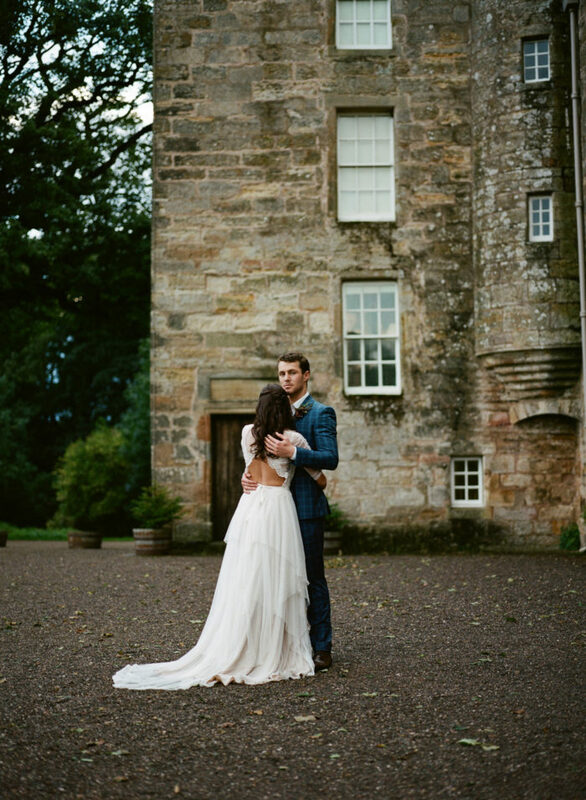 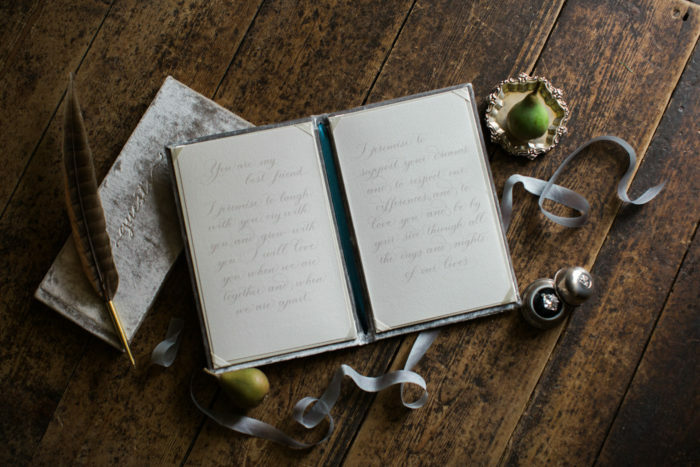 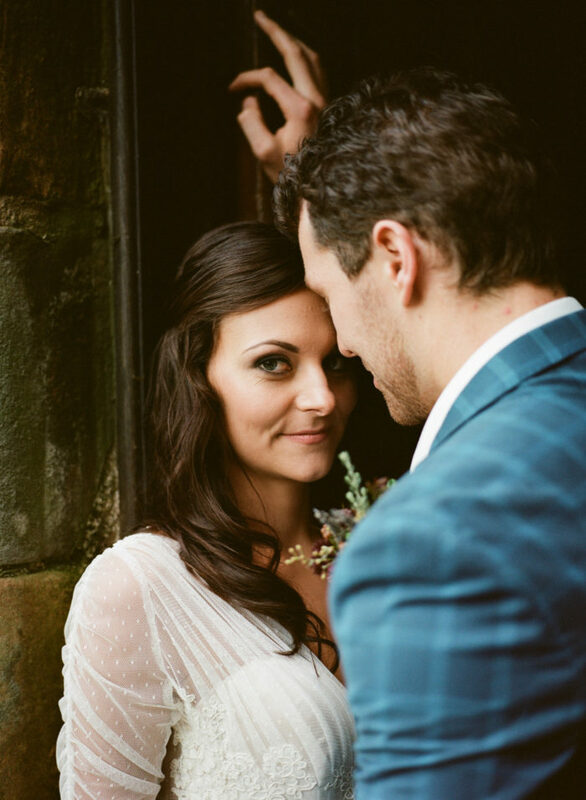 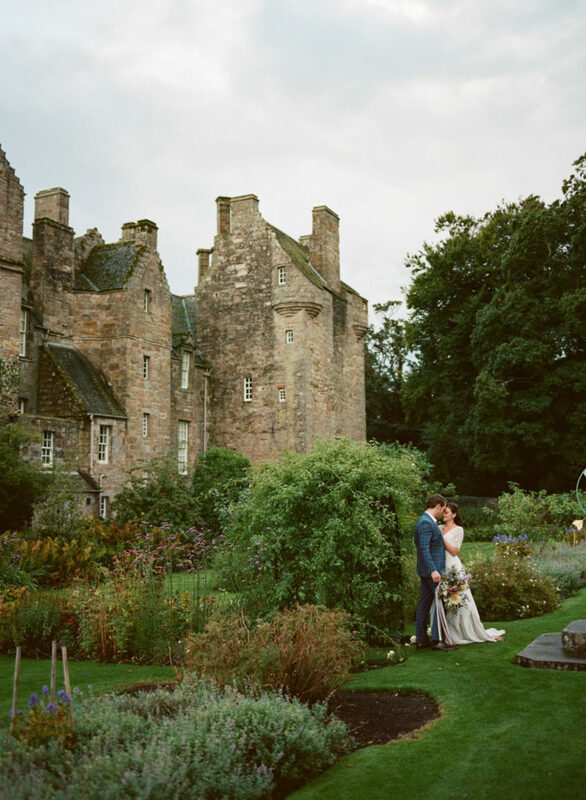 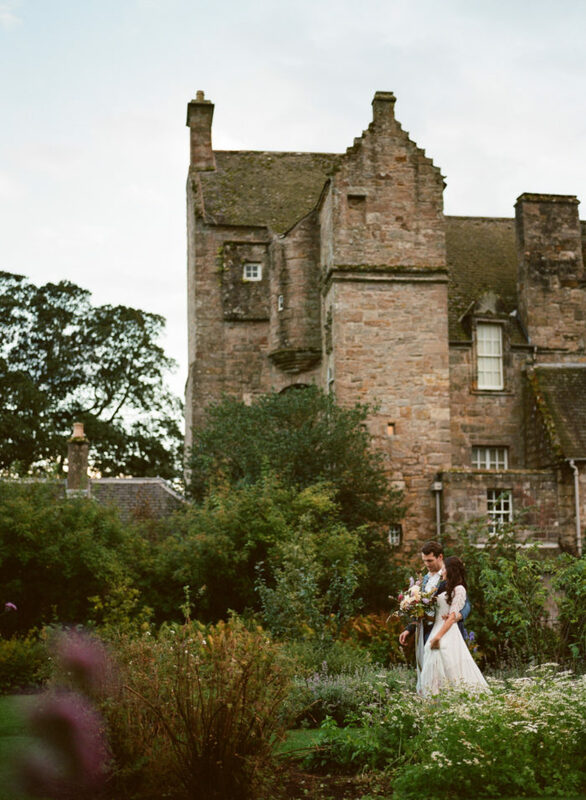 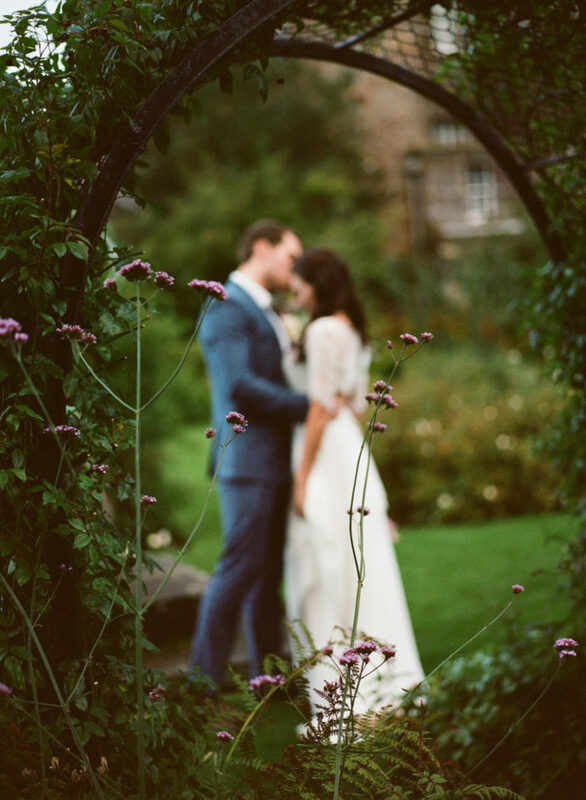 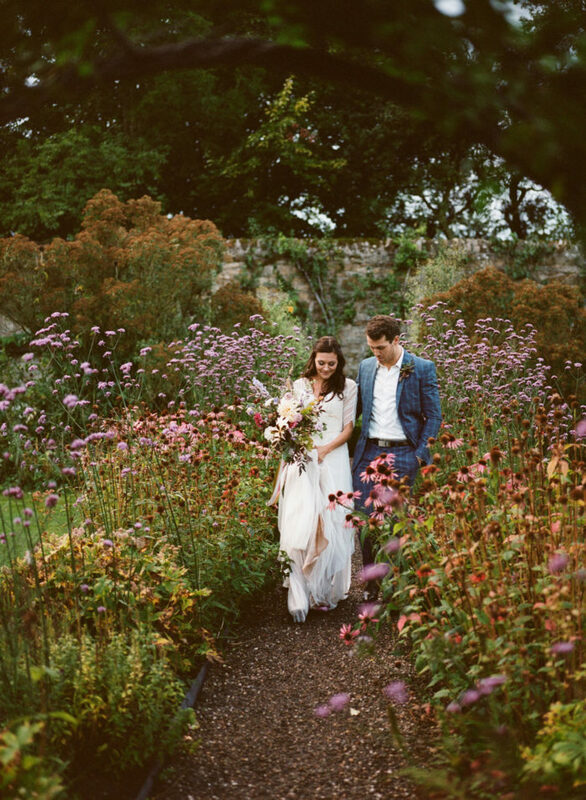 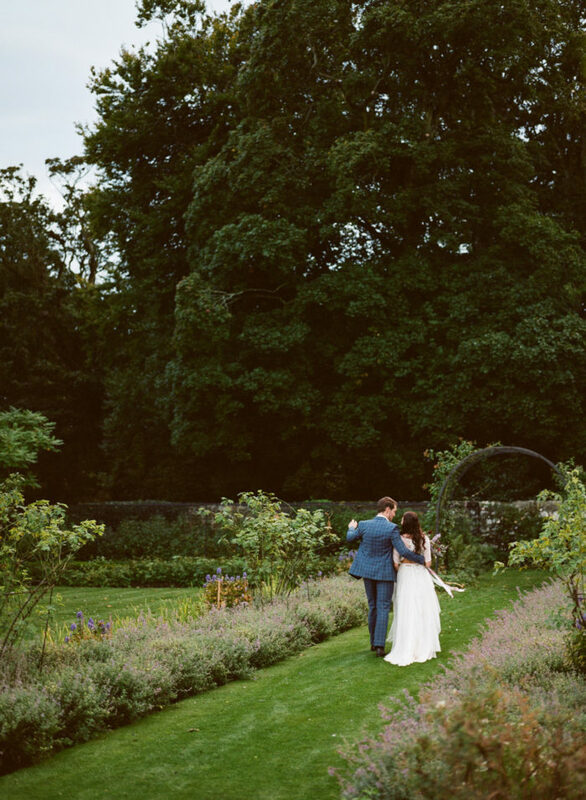 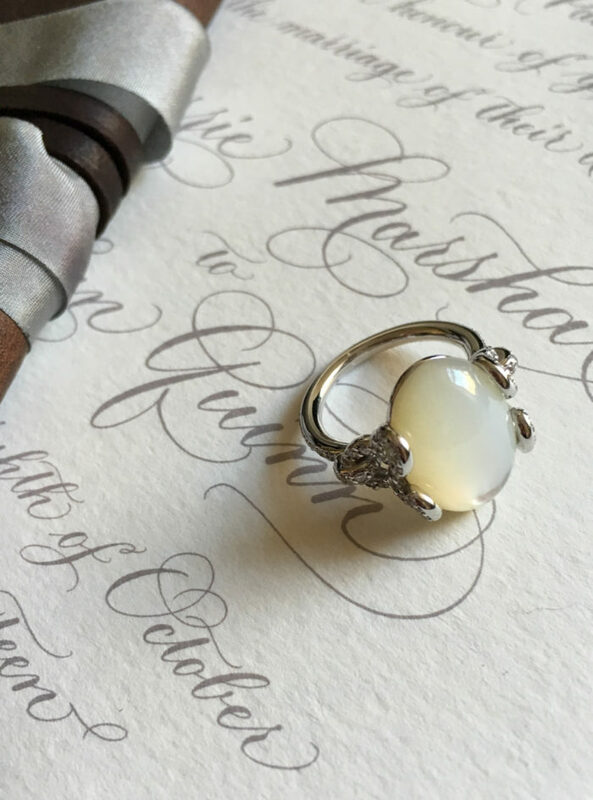 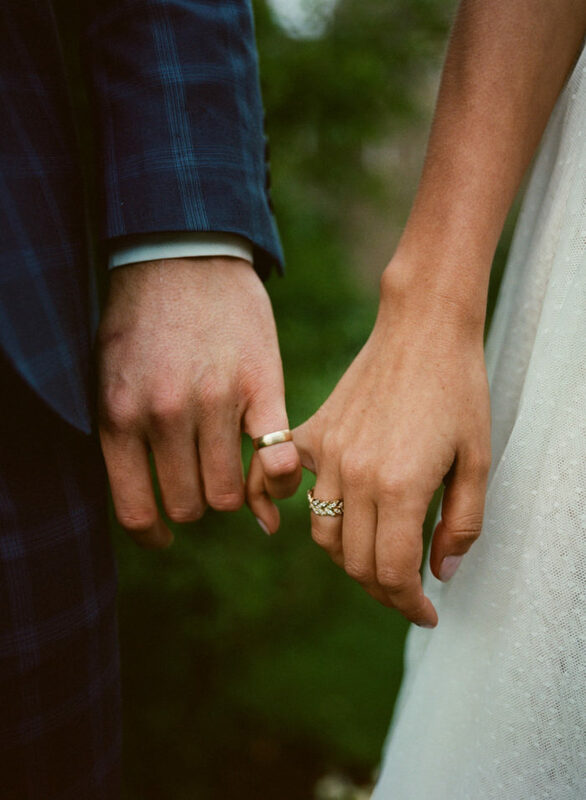 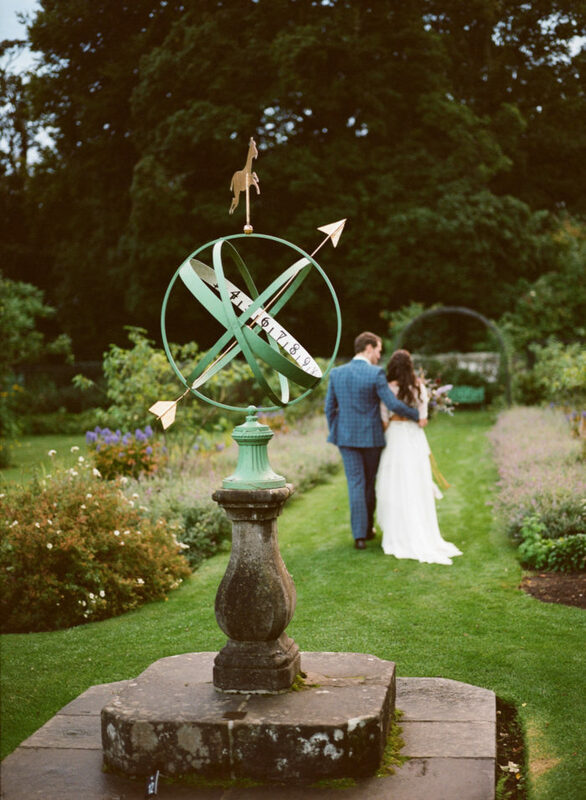 The inspiration for this collection of wedding images from Kellie Castle in Fife, Scotland came from an unlikely, but beautiful, source: a quote by Robert Burns that was engraved on the groom’s wedding ring. 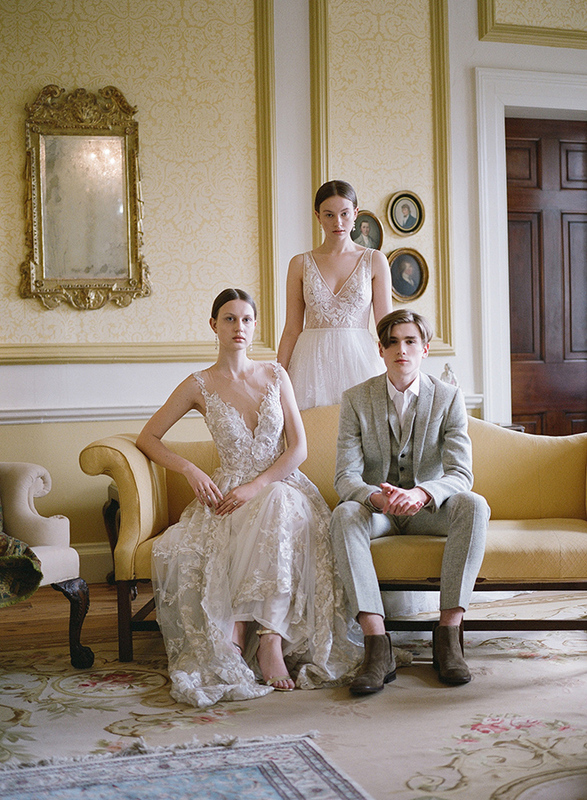 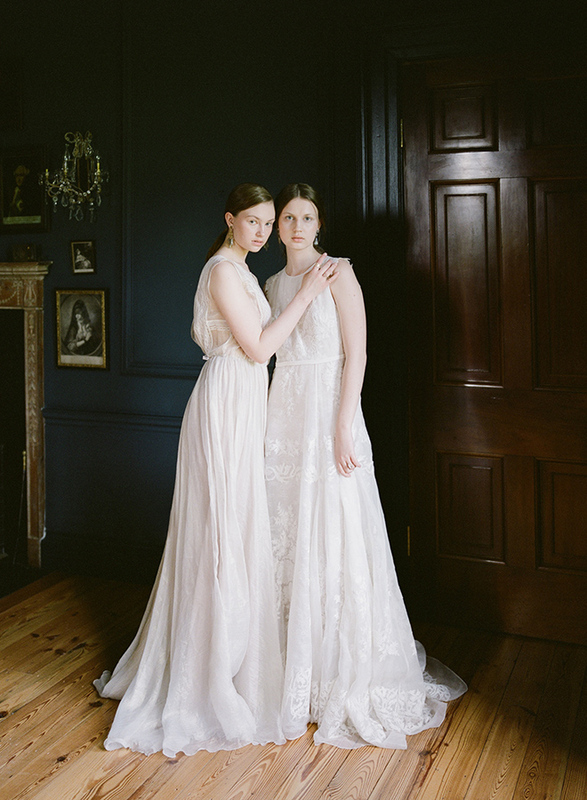 The bridal looks featured two breath-taking gowns. 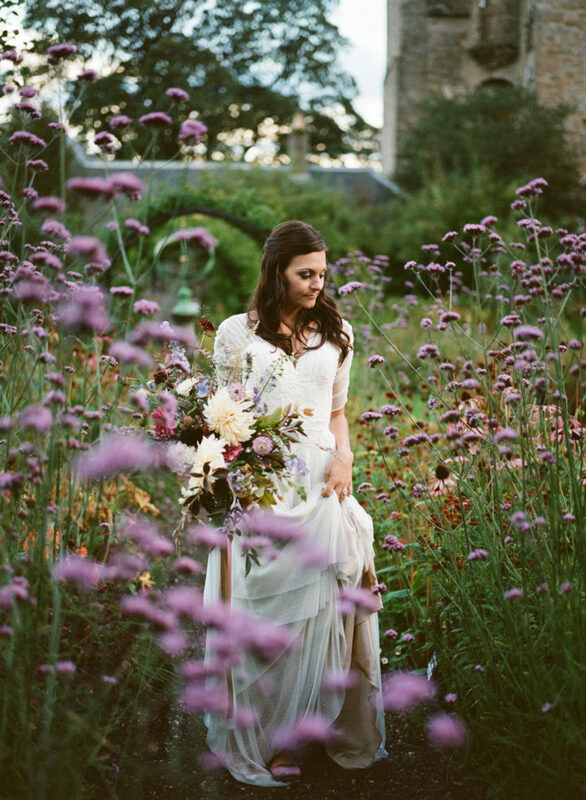 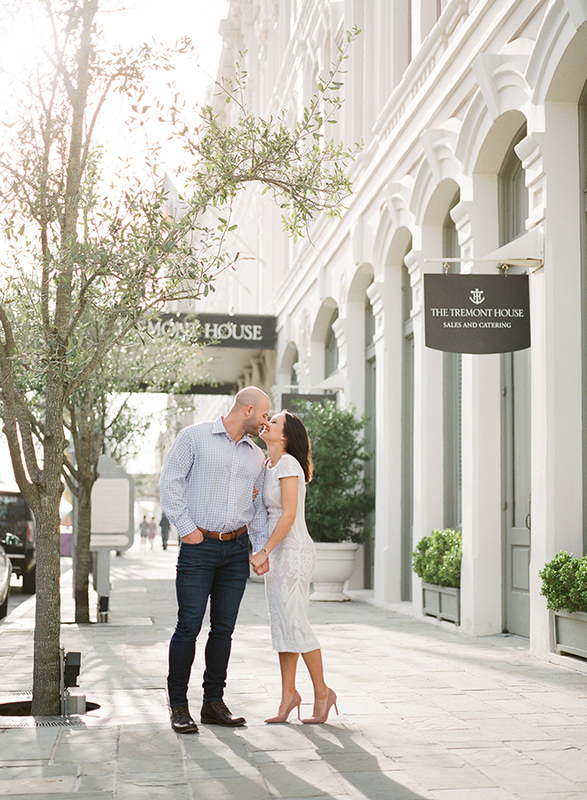 The first was a lavender, off-the-shoulder Gossamer beauty worthy of a Grecian Goddess. 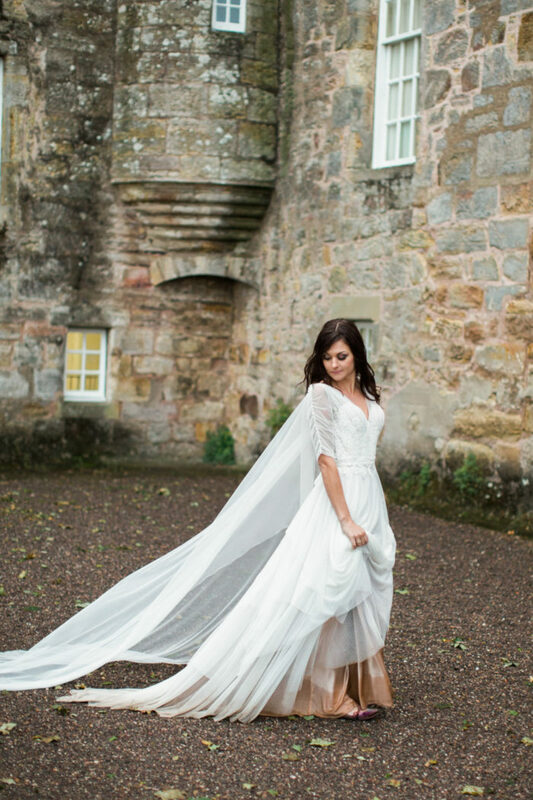 The second was a white two-piece ensemble by Elizabeth Mackenzie Bridal fit for a princess that featured a long, flowing cape in place of a traditional veil. 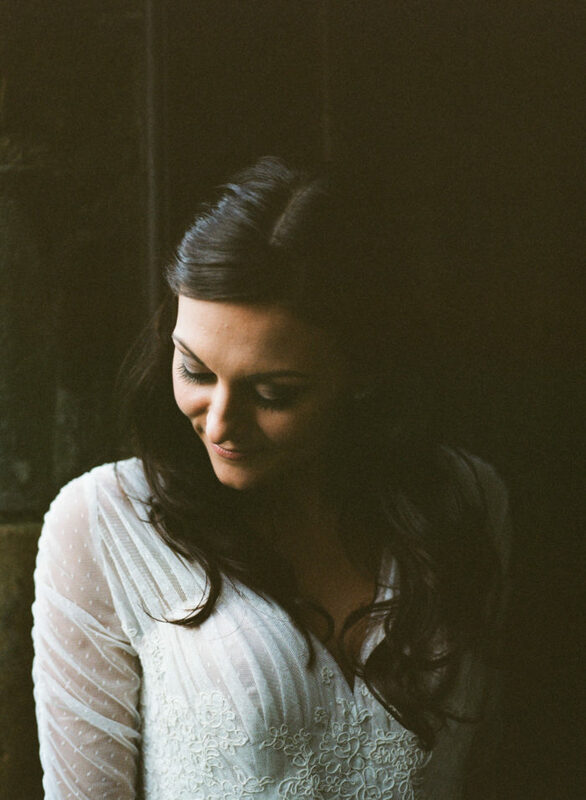 These gowns combined with effortless waves, a simple half-up braid, and natural makeup gave us definite Princess Kate vibes! 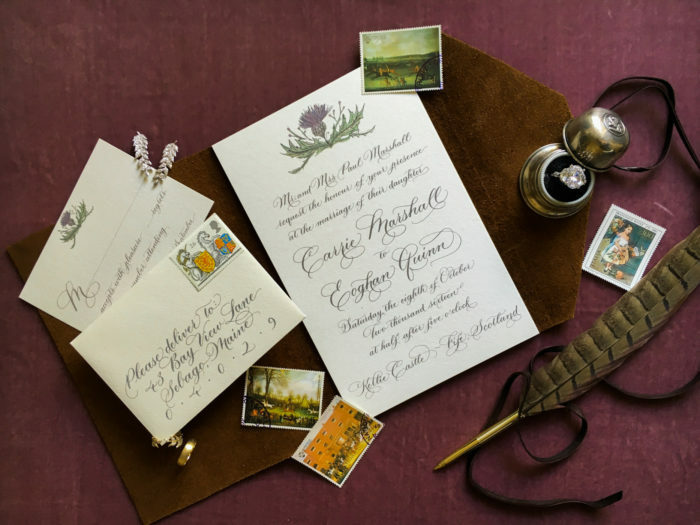 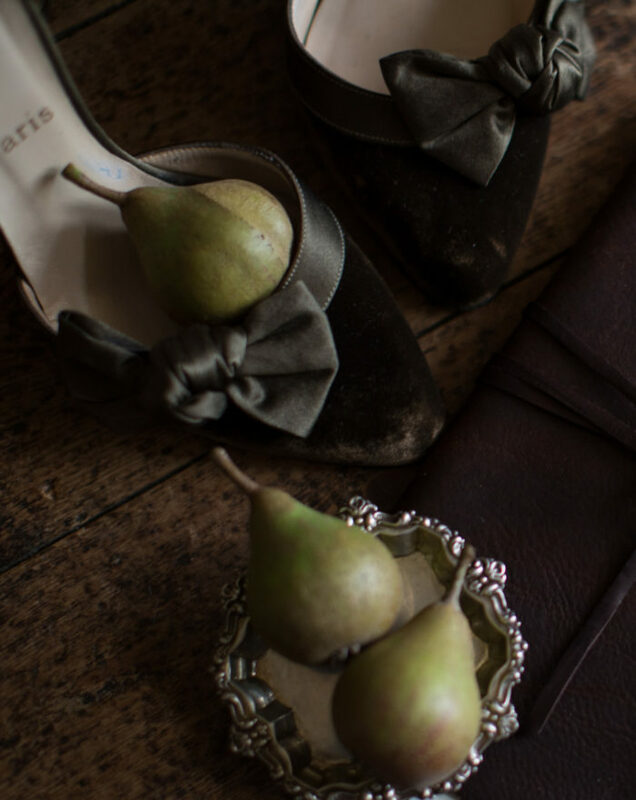 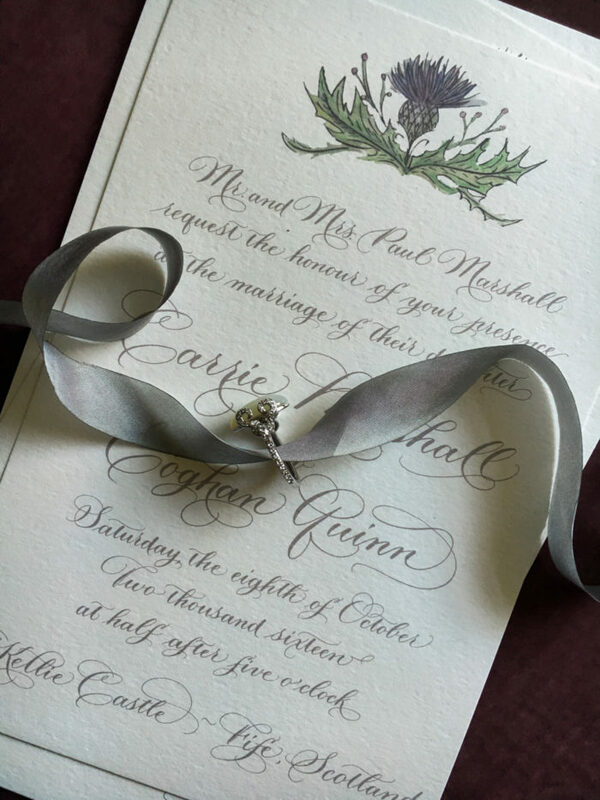 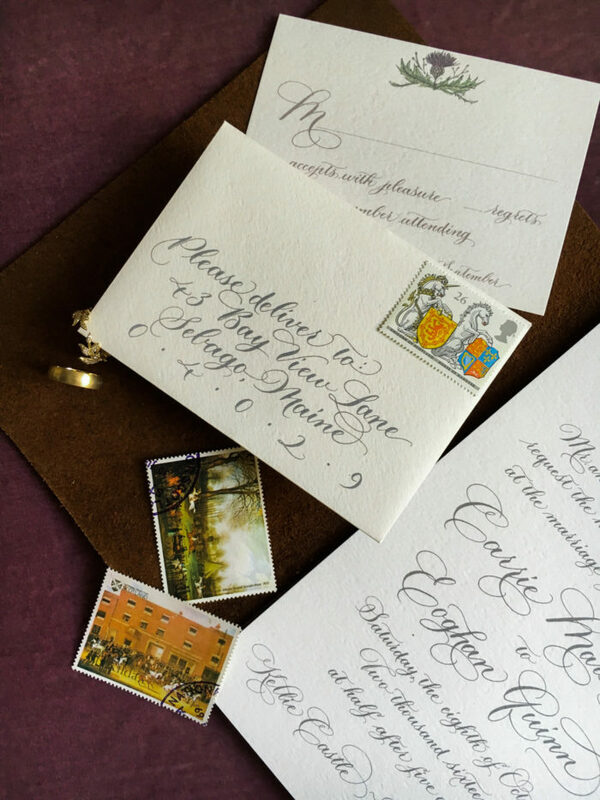 We loved incorporating old-world details, from the vintage guest book and feather quill from Blue Sky Papers Claire Magnolia to the calligraphic invitations from MM Ink. 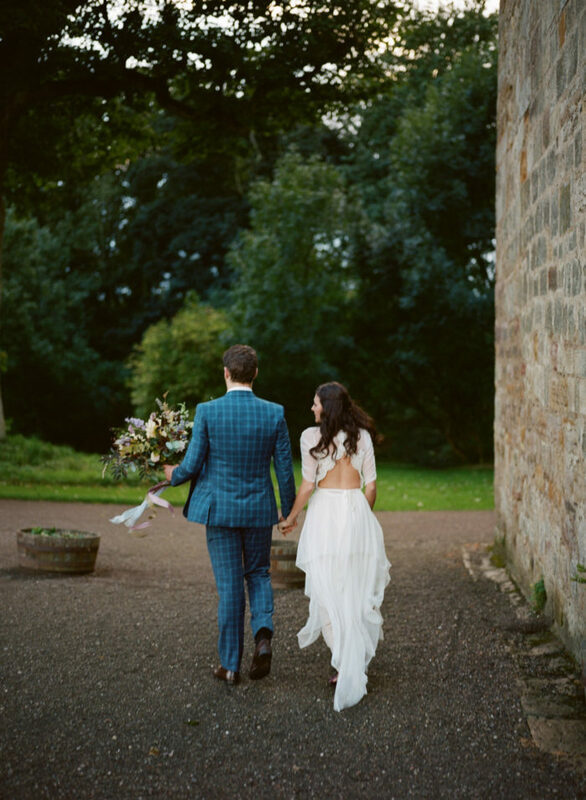 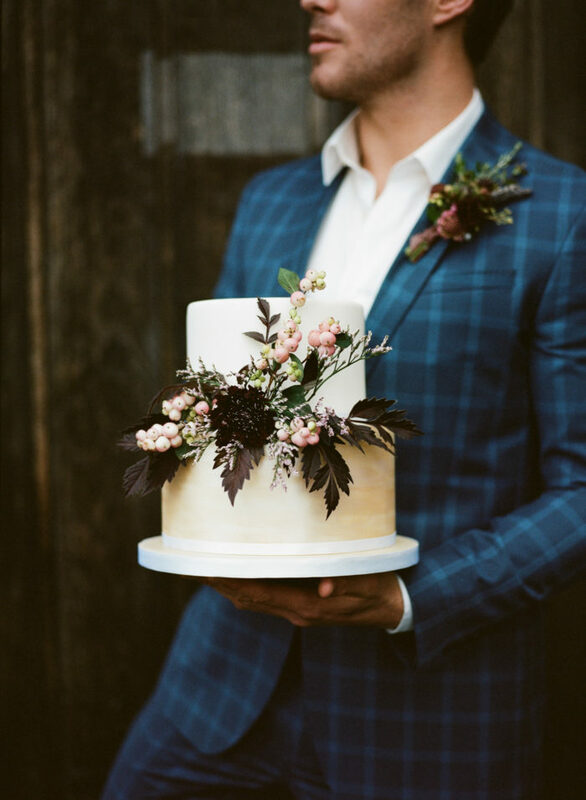 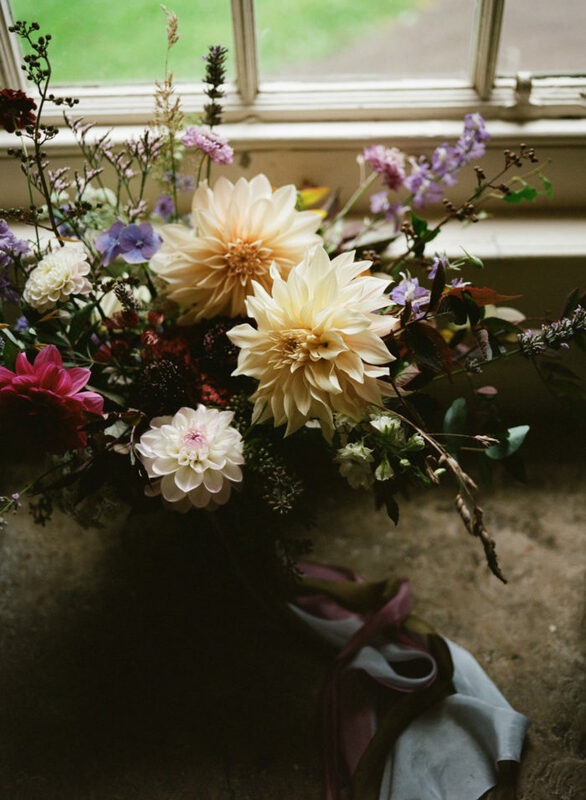 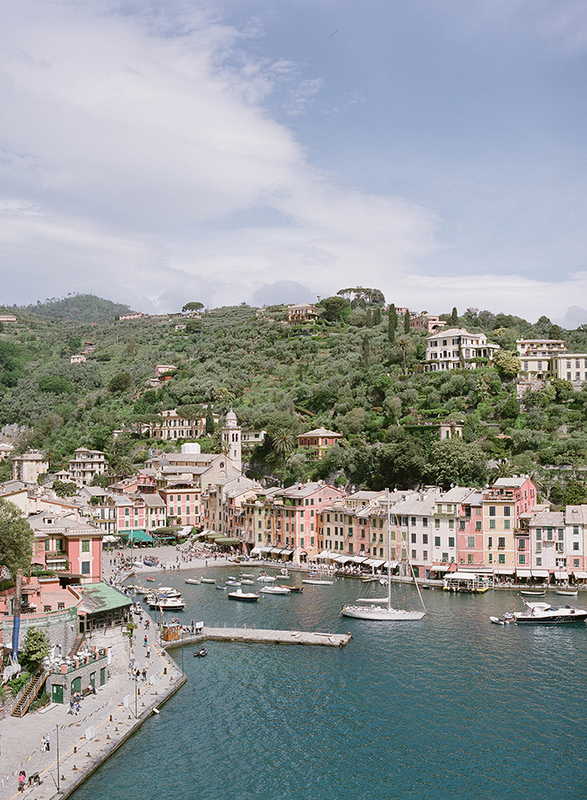 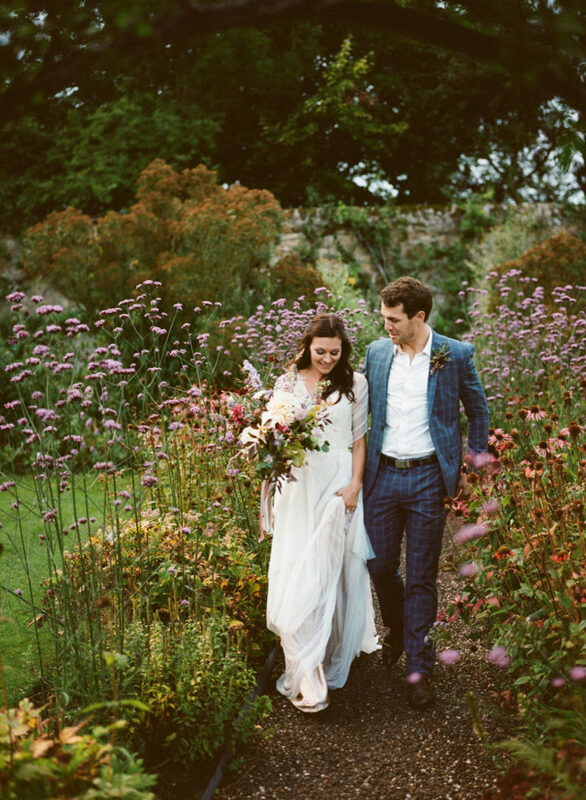 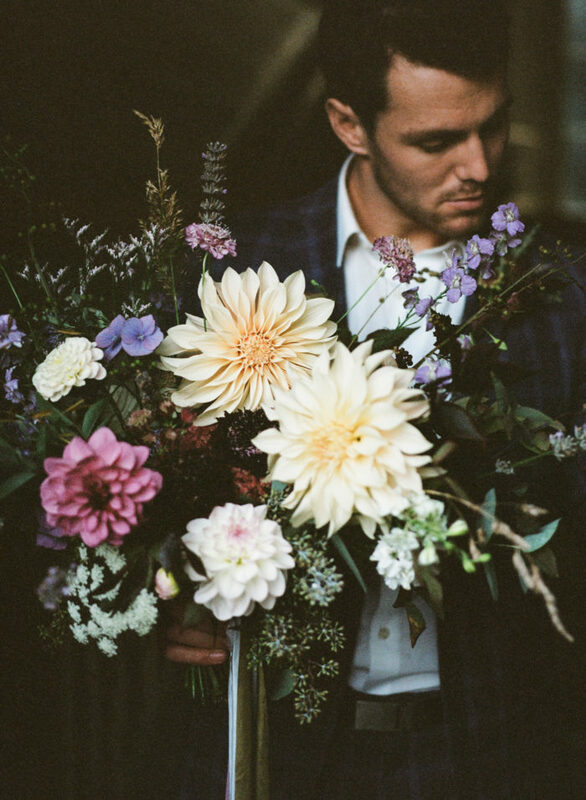 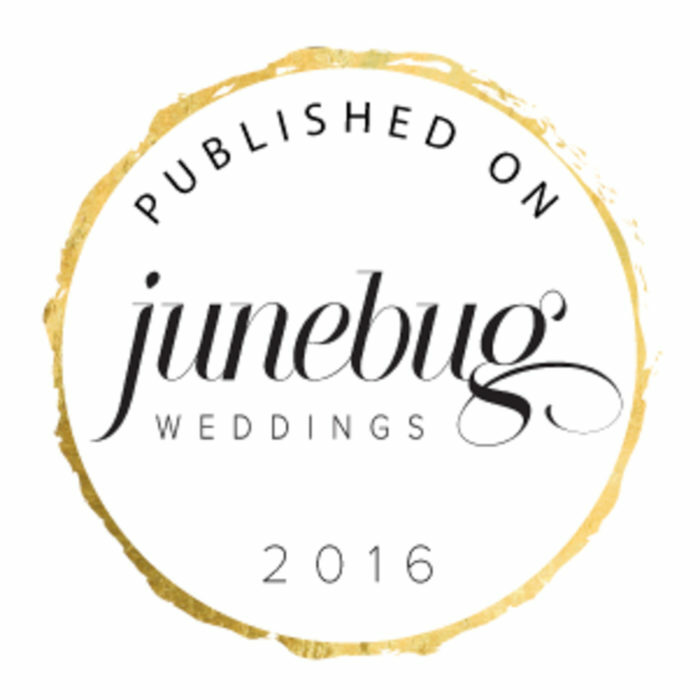 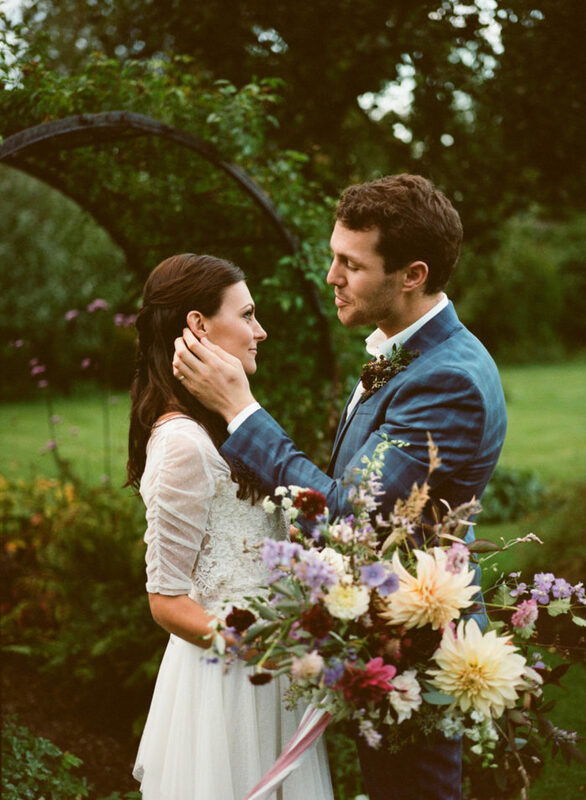 Shooting this wedding inspiration was like bringing a fairytale to life!